We grow corn every summer in the GMS gardens but this is the first year that we have saved the husks, cobs, or silk for any purpose. These charming little dolls were so easy to make and the students seemed genuinely pleased by them. 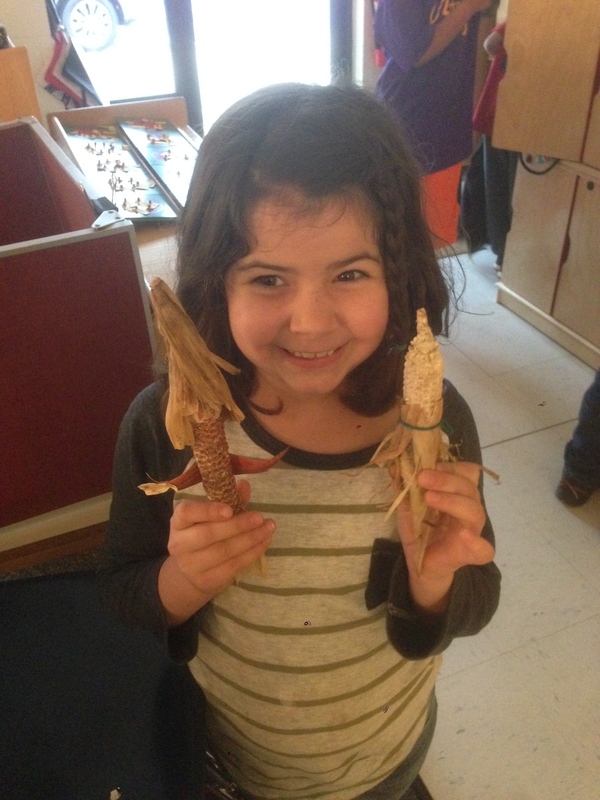 They aren’t as bedecked as the “tree change dolls” or some of the other corn-husk dolls I’ve seen, but nonetheless, the children’s imagination took flight and they were playing with them instantaneously. To make the dolls we soaked the corn husks in hot water for ten minutes and then used yarn to tie a head, waist, and legs! They were a treat for our Lower Elementary and Upper Elementary students. We also enjoyed reviewing all of the words associated with corn (winnowing, kernel, husk, cob, silk, maise, tassel, stalk…..) and learning about how corn pollinates.